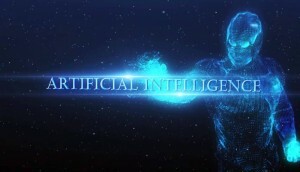 Artificial intelligence, or A.I., can be defined as a “science and technology whose goal is to develop computers that can think, as well as see, hear, walk, talk and feel. A major thrust is the development of computer functions normally associated with human intelligence, for example, reasoning, inference, learning, and problem solving” (O’Brien-Marakas 589). This definition provides an insight into the very extensive and ever-growing topic of artificial intelligence. The major areas of research within artificial intelligence are cognitive science, robotics, and natural interfaces. Big progress is being made in these areas. Cognitive science focuses on research from biology, neurology, psychology, mathematics, and other closely related areas. The goal of cognitive science is to understand how the human brain works, including thinking and learning (O’Brien-Marakas 385). This area of research has laid the foundation for many computer-based applications. An example would be adaptive learning systems, which have the ability to change their behavior relative to any information they have gained through operation. In 1997, a team of researchers at IBM developed a computer-system that could play chess, while learning from its mistakes along the way; it was called Deep Blue. In order to test its ability, Deep Blue played a live chess match against the reigning world champion, Gary Kasparov. In a series of six games, Deep Blue beat Kasparov 3.5 to 2.5 (1). The area of research runs parallel to robotics because the computer systems that are developed can be used as the “brain” of a robot. 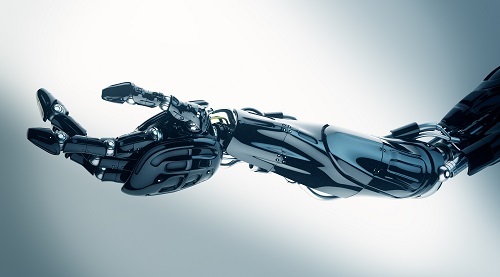 Robotics is comprised of engineering, physiology, and artificial intelligence. The authors of Management Information Systems, O’Brien and Marakas described this technology as “…robot machines with computer intelligence and computer controlled, humanlike physical capabilities” (388). Because of the advancements in technology, scientists can create robots that are capable of locomotion, have sensory perception, and have the ability to move and handle objects like a human can. The insertion of artificial intelligence into a robot allows the potential for automation, and also for increased efficiency in whatever the task. The last major area of artificial intelligence is natural interfaces, which closely relates to the study of linguistics, psychology and computer science. This field of research strives to find ways for robots to communicate with humans fluidly by attempting to implement speech recognition (O’Brien-Marakas 389). Scientists hope that one day, they will have the ability to build a robot that can speak a human language, and have a normal conversation with a human. This means that the robot needs to be able to process statements and questions and respond appropriately. Artificial intelligence is computer-based, and gains knowledge as it is operated. Computer programmers create problem-solving tools called algorithms, which are the foundation for artificial intelligence. These algorithms are basically procedures that are encoded into a computer to allow it to do a certain task step by step. Using algorithms, computer programmers can have a computer think out and solve a problem just like a human does. The problem with artificial intelligence is that the more complicated the computer’s task becomes, the more advanced and time-consuming the algorithms become. There are four popular strategies used to make a computer system learn something. Memorization, the first strategy, forces the computer system to learn any new facts it is exposed to. The new information is indexed within the computer system and stored. Learning occurs when the information is being indexed. As the information held in the database grows, the performance of the computer system increases. This presents a problem of indexing the information in a clear, usable manner (Liang 2). A simple process like memorization is rote learning (Turing 1). The second strategy used in making a computer system learn is induction. This strategy includes creating rules that the computer system must abide by, creating decision trees, which provide the computer system with a multitude of possible outcomes of an event ahead of time, and learning by example (Liang 2). This type of learning can be and has been used to create robots that can play a game like chess or tic-tac-toe. In order for this type of learning to work, the developer of the artificial intelligence must create rules for the robot to follow, allowing it to act based on a set of criteria. Decision trees show all possible outcomes of a specific event. Computer systems using decision trees can be coded to choose the best possible outcome depending on the criteria given. Lastly, computer systems can learn by example. When the computer system sees an action performed, it has the ability to remember that action and mimic it depending on what it is. The third strategy is learning by deduction. “Deduction is a process by which new relationships are derived from old ones. For example, if we know that the increased interest rate will cause higher interest payments and higher interest payments will worsen cash flow, then we can deduce that the increase in interest rate will deteriorate the cash flow” (Liang 2). This process does not require any explanation as to why certain actions cause certain outcomes because artificial intelligence systems have neural nets with the ability to recognize patterns between data elements. The fourth and final strategy is to learn by analogy. According to the Oxford English Dictionary, an analogy is “a comparison made between one thing and another made to explain or clarify” (“analogy”). The following is a real-world example of an analogy: a male trying to date a female who is uninterested in him, is like trying to climb a rock wall with grease on your hands; there is no way to hold on. Learning by analogy involves the use of algorithms to find similarities between two things and relate them in some way. Neural nets are also part of artificial intelligence. 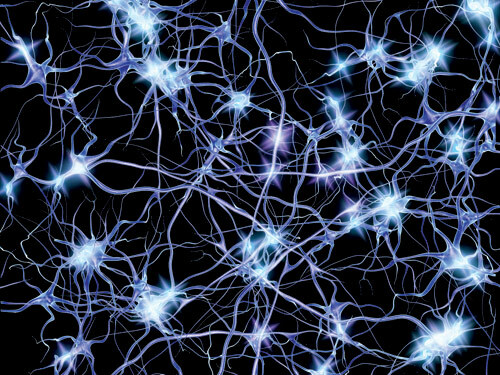 Neural nets are computing systems created in an attempt to replicate the brain’s intricate network of neurons. These neurons can be thought of as “interconnected processing elements” (O’Brien-Marakas 396). These neurons work together to recognize patterns and relationships in any data they process, in order to help AI systems “learn”. AI has a wide variety of uses in business. 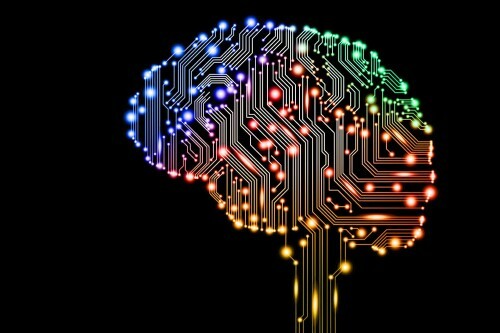 In regards to computer programs, AI can be considered the brains of the software. One of the most important implementations of artificial intelligence was in the field of medicine. Neurosurgery is surgery on the brain and spinal chord; it is commonly used to remove tumors. A few years ago, a neurosurgeon would have to insert a metal biopsy needle into the patient’s brain, and “localize” the tumor using imaging technology and ultrasound equipment (O’Brien-Marakas 397). This method of treatment was the only means of neurosurgery available at the time. The problem with this method of treatment is that the imaging and ultrasound technology can only find point the doctor to the general vicinity of the tumor; it can not pin-point the tumors location. This is not always effective because tumors sometimes move. Now, a robotic probe has been developed that can be inserted into the brain to find tumors through the use of AI. The mini probe contains neural network software and is guided by a robotic mechanism. The probe has the ability to tell the difference between normal tissue and tumorous tissue. The probe will alert the surgeon when the tumorous tissue is found, therefore, allowing the surgeon to know exactly where the tumor is located, and treat it accordingly. This application of artificial intelligence has helped to increase the safety, accuracy, and effectiveness of neurosurgery (O’Brien-Marakas 397). Another major application of artificial intelligence in business was in the field of banking. DeepGreen Financial Corporation was created with the use of artificial intelligence in mind. DeepGreen performed a variety of banking services, including giving out loans. DeepGreen used internet technology with artificial intelligence to automate the process of giving out a loan. The technology that was developed had the ability to process over 325,000 applications in a single day (O’Brien-Marakas 387). Because of the neural networks in AI systems, DeepGreen was able to pull a credit report, score it, value property using the internet, confirm the presence of fraud and flood insurance, and make a final decision. O’Brien states that 80% of the time, the final decision on whether or not to give out a loan was made in two minutes or less (387). This application of artificial intelligence enabled DeepGreen Financial Corporation to compete with other financial companies based on the simplicity and quick speed of the approval process. DeepGreen has since gone out of business due to overspending. “Analogy” The Oxford English Dictionary. 2nd ed. 1989. OED Online. Oxford. University Press. 7 Dec. 2007. O’Brien-Karakas. Management Information Systems. 8th ed. 2008. Liang, Ting-Peng. Special section: Research in integrating learning capabilities into Information.” Journal of Management Information Systems. 9.4 (1993): 5-11.